Since Tony Hillerman published his book Skinwalkers in 1990 (a must read), this bit of Navajo religious and cultural lore has made its way into the mainstream through several big screen and made for TV movies. Skinwalkers, or yenaaldlooskii, are witches that can assume the shape of any animal they desire, typically a wolf or coyote, and sometimes another human being. This idea of shape-shifting has been around for centuries and made most popular by the legends of werewolves (go team Jacob!). In order for the witch to take the shape of the animal they desire, they usually will wear the hide of the animal for which shape they want to take. 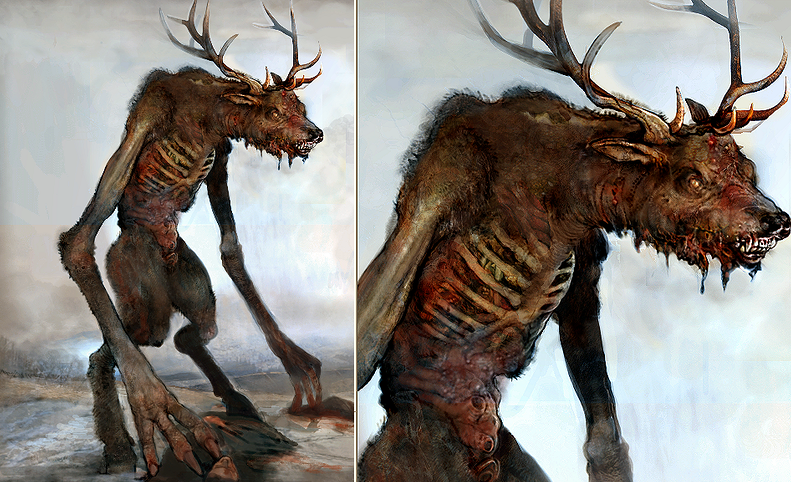 Once the transformation is complete, the skinwalker assumes the characteristics of the animal. Some Navajo believe that skinwalkers have the ability to “steal” the body of a person. The Navajo believe that if you lock eyes with a skinwalker they can absorb themselves into your body, while others say that standing up to them and staring at them is the only way to keep it from killing you. But skinwalkers are closer to home if you live in the southwestern United States and especially if you are from the Navajo, Ute or Hopi Nations of Arizona, New Mexico and Utah. It is believed that skinwalkers are evil and anything they do is purely of evil intent. Often, Navajos will tell of their encounter with a skinwalker, though there is a lot of hesitancy to reveal the story to non-Navajos, let alone to anyone in fear that the skinwalker will come back for retribution. Sometimes the skinwalker will try to break into the house and attack the people inside, and will often bang on the walls, knock on the windows, and climb onto the roofs. Sometimes, a strange, animal-like figure is seen standing outside the window, peering in. Other times, a skinwalker may attack a vehicle and cause a car accident. The skinwalkers are described as being fast, agile, and impossible to catch. Witnesses have seen skinwalkers along roads outside of Flagstaff, Sedona, Winslow and Window Rock, Arizona. They are typically seen by motorists, running alongside cars while going 60+ mph. It is difficult to gain information about this phenomenon from the Navajo since there is a strong taboo against talking about witchcraft. In traditional Navajo lore, skinwalkers also rob graves, steal livestock and commit murder. And, having never seen a skinwalker, as far as I know anyway, I found a few websites with some stories told by people who have encountered them. Enjoy! Source: Wesley Treat, Weird Arizona, Sterling Publishing Co.: New York, NY, 2007. Source: Wikipedia – https://en.wikipedia.org/wiki/Skin-walker.